Vegware's compostable sushi tray and lid combo is made from plant-based PLA. This renewable eco material contains 79% less embodied carbon than plastic, and these carbon savings are reflected in Eco Audits. 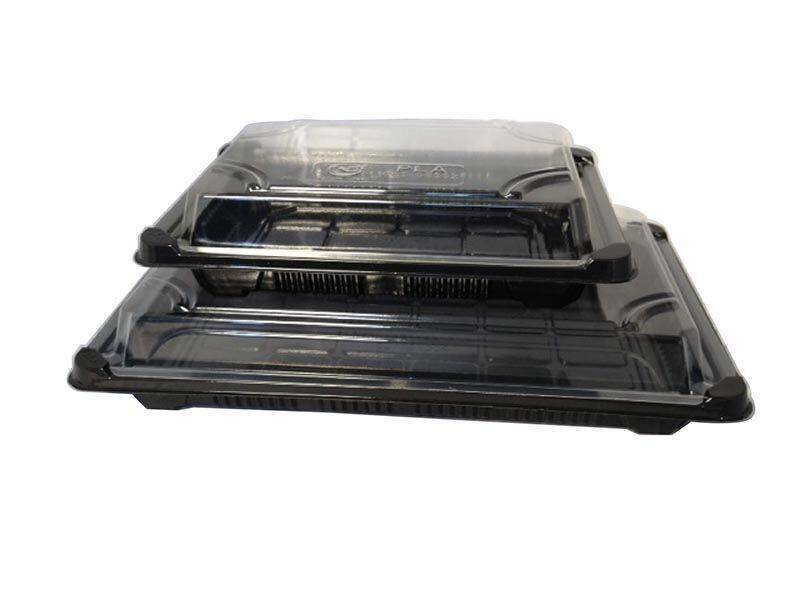 The black tray helps your food art stand out, and the clear lid offers fantastic visibility. They are perfect for displaying all sorts of small platter-style treats - sushi of course, but also ploughman's lunches, mini snack platters, quiche with a crunchy salad garnish, or a slice of cheesecake with berries on the side.